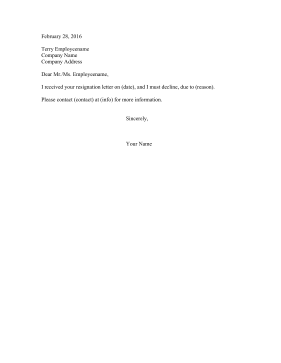 This letter briefly rejects an employee's resignation request. I received your resignation letter on (date), and I must decline, due to (reason). Please contact (contact) at (info) for more information.